Over the past decade or so, Hollywood has punched out a fair share of war films for audience members to see with gritty real-life action, bombastic gunfights and explosion, and unwavering portrayals of valor and honor to those characters that fight and die in the name of freedom. Whether based in truth or in fiction, these movies are the closest thing to the “Theatre of War” that many, including myself, will ever get to experience; offering a small window glance inward (Albeit dramatized to some degree) at the real life bravery and sacrifice that the men and women in our armed forces do to protect way of life. Now, to start off the year of 2014, Universal studios and director Peter Berg debut the film Lone Survivor, based on the accounts of U.S Navy Seal Marcus Lutrell. Does the film stick to its source material or is it just another Hollywood “paint-by-numbers” war flick? 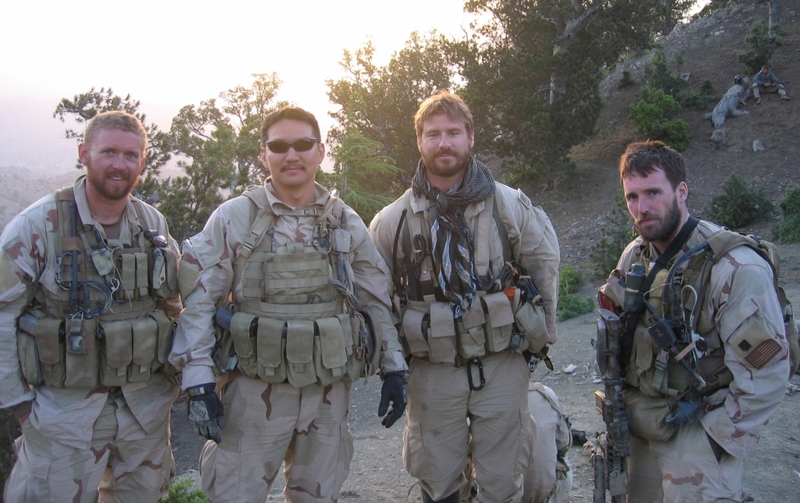 In June 2005, “Operation Red Wings” was a go. U.S. Navy Seal Team 10 is assigned to the task of a covert mission to capture one of the most wanted men in the Taliban, Ahmad Shah. Four experience Navy Seals go in: Hospital Corpsman 2nd class Marcus Luttrell (Mark Wahlberg), Lt. Mike Murphy (Taylor Kitsch), Gunner’s mate 2nd class Danny Dietz (Emile Hirsch) and Sonar Technician 2nd class Matt Axelson (Ben Foster). As the mission progresses, all seems to be going as planned until the four Seals are discovered a shepherd and two young boys. The choice on whether that they should be let go (And by doing so comprise their mission) or having them killed (Ignoring the Rules of Engagement and be disgraced by the world media) is debated heavily amongst the four Navy Seals and soon a decision is made and thus sealing their fate. With the movie Deepwater Horizon coming out soon (with actor Mark Wahlberg in it and director Peter Berg directing it), I decided to post my old movie review of Lone Survivor (from my old blog). Enjoy! Helming this project is director Peter Berg, who has previously directed The Rundown, Friday Night Lights, and The Kingdom. Berg seems to take a respectable approach to its source material, making sure that Lone Survivor doesn’t turn into a generic war-time movie, but rather a define homage to Lutrell’s account with some tweaks here and there (more on the below). Personally, with the film being based on a true story, it’s always interesting and far more gripping to watch a real life story come alive on the big screen rather than a fictional account. The film open credits are quite unique, displaying various cuts of actual footage of Navy Seals hopefuls going through some grueling training exercises (Marcus Lutrell described on such events heavily in the book); giving viewers a visual yet rudimentary sense of the dedication and determination of what it takes to become a US Navy Seal. 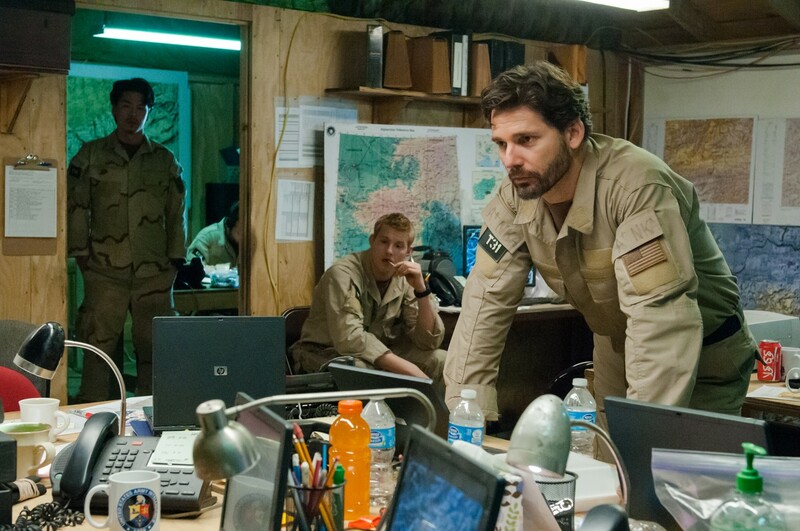 Very similar to is opening is the film’s ending which is a touching homage to some of the actual characters who took part in “Operation Red Wings” accompanied by somber version of David Bowie’s “Heroes” sung by Peter Gabriel. For those action junkies out there, the middle act of Lone Survivor is going to be your favorite part as the action in the movie is intense. It’s raw and full of chaotic gunfire with blood and “F-bombs” flying here and there. It may be a turn off for some, those less queasy to these types of the movies, but, for me personally, it works cohesively for the overall feel and tone of Lone Survivor’s story, as it must be. Additionally, the movie also places the spotlight on the military’s ROE (the rules of engagement), a set of rules and procedures that are to be applied in wartime combat situation. Of course, that’s the big dilemma in the movie, which the soldiers face, and is echoed in today’s mainstream media and in active combat soldiers. Are these laws good or bad? And what of the repercussions behind it once a decision is finally made? While I personally can’t speak of the merits and faults of the ROE (I’m a civilian), the film does raise some discussion questions about its effect and consequences. Even without prior reading knowledge of Lutrell’s book, many can surmise that the film’s name (along with the book) says it all as viewers pretty much know what to expect when sitting down to watch the film for the first time. So, in a sense, the film losses its allure of its shock and awe of when it comes down the film’s middle act as the question of “What just happened!” changes to “Oh, that’s how it happened”. The middle act also is also a bit too long, which I know is a key part of the story, but it’s just too drawn out for its own good, so much to a point that it consumes time for the film’s third act. As for the film’s third act itself, it suffers the most out of Lutrell’s account, which is strange as Marcus himself is the primary person of this part of the narrative. There’s so much taken out from the book (whether changed, shortened, or removed) that its simple feels like an afterthought rather than a solidified final act. As a result of this, the humanity (In general) and in the character of Marcus on-screen doesn’t quite measure up to the humanity in the Marcus in real life, which is express very vividly and openly in the book. This, however, doesn’t fall on Wahlberg’s portrayal of Marcus, but rather on the direction of the film from Peter Berg. 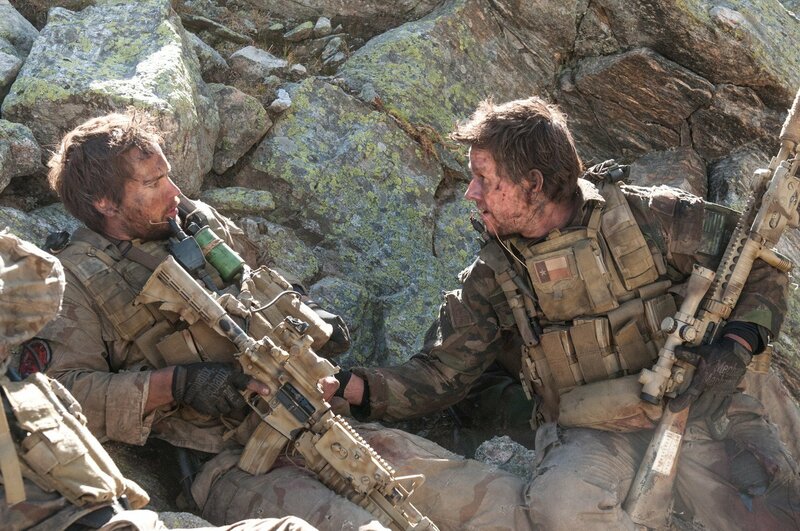 To sum it up, Berg’s Lone Survivor focuses a little too much on its action and less on Lutrell’s final journey, failing to fully “encompass” on what could’ve been told. .
At the center of Lone Survivor is the main character Marcus Lutrell, who is played by actor Mark Wahlberg. Wahlberg, who has proven to his acting chops in several action / drama films such as The Fighter, Invincible, and The Departed, certainly does bring a strong leadership role to the character, and does the real Marcus Lutrell some justice in this dramatized version of his tale. The other three soldiers, Mike Murphy, played by Taylor Kitsch, Danny Dietz, played by Emile Hirsch, and Matt Axelson, played by Ben Foster, do fine jobs in the roles of acting in bringing these real-life characters to life (via theatrical representation). As a group, these four do a great job, displaying a great sense of camaraderie with friendly competition and a tightly knit bond with each other, sharing personal stories of wives, girlfriends and their families. This, of course, adds to the believability to the characters and adds weight to the feature, especially when their lives are “on the line”. Other notably actors include Eric Bana who plays the ops commander Erik Kristensen and Alexander Ludwig who plays the young and eager recruit Shane Patton. Rounding out the cast (in smaller minor roles) are Jerry Ferrara as marine staff sergeant Hasslert and even Marcus Lutrell himself makes a cameo appearance in the movie as an unnamed Navy Seal.